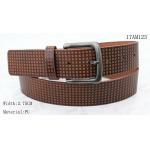 Fashion Embossed Dots In Brown PU Mens Belt With Antic Brass Buckle 1. 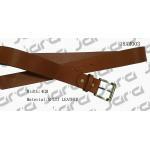 Description: This is new developed belt with hand work stitching on the belt and loop. You can order different lengths from range of 100-130cm per style. Also, both belt and buckle ... WENZHOU JARA ACCESSORIES IMP. & EXP. 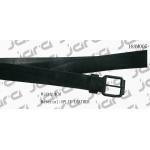 CO., LTD.
Black PU Belt With Pyramids Metal & Nickel Satin Buckle In 38mm Width 1. Quick Detail: Style No. 18AM061 Width 3.8cm Belt Material PU Buckle Material Zinc Alloy Belt Color Black Buckle color Nickel satine MOQ 500pcs Length range 100-130cm total length ... WENZHOU JARA ACCESSORIES IMP. & EXP. CO., LTD. 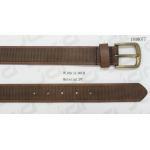 Fashion Dark Brown Mens Belt With Embossed Edges & Antic Brass Buckle 1. Quick Detail: Style No. 18AM071 Width 3.35cm Belt Material PU Buckle Material Zinc Alloy Belt Color D. Brown Buckle color Antic brass MOQ 500pcs Length range 100-130cm total length ... WENZHOU JARA ACCESSORIES IMP. & EXP. 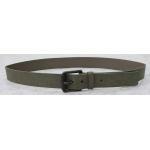 CO., LTD.
Natural Two - Tones Pattern Casual Male Belts , Mens Olive PU Belt With Roller Buckle 1. Quick Detail: Style No. 18AM055 Width 3.85cm Belt Material PU Buckle Material Zinc Alloy Belt Color Olive Buckle color Old silver MOQ 500pcs Length range 100-130cm ... WENZHOU JARA ACCESSORIES IMP. & EXP. CO., LTD. 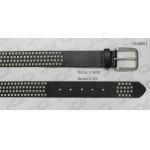 Fashion Tan PU Belt For Men With Black Edge Painting & Old Silver Buckle 1. Quick Detail: Style No. 18AM073 Width 3.4cm Belt Material PU Buckle Material Zinc Alloy Belt Color Tan Buckle color Old Silver MOQ 500pcs Length range 100-130cm total length ... WENZHOU JARA ACCESSORIES IMP. & EXP. 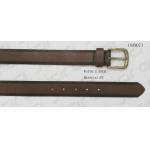 CO., LTD.
3.75cm Fashion Brown PU & Old Silver Buckle Mens Casual Belts with special embossed patterns 1. Description: There is special pattern embossed in the belt. 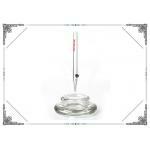 You can order different lengths from range of 100-130cm per style. Also, both belt and buckle could... WENZHOU JARA ACCESSORIES IMP. & EXP. CO., LTD. Fashion Black leather Mens Casual Belts with black painting buckle in 4cm 1. Description: This is new developed belt for men produced by our own factory. There is spot pattern embossed in the front of belt. 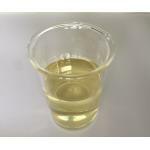 You can order different lengths from range of ... WENZHOU JARA ACCESSORIES IMP. & EXP. 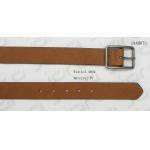 CO., LTD.
4cm Classic Tan Leather Belt , Mens Casual Belts With Gold Buckle & Screw Part 1. 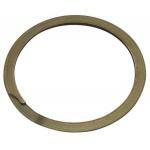 Description: This is new developed belt for men produced by our own factory. You can order different lengths from range of 100-130cm per style. Also, both belt and buckle ... WENZHOU JARA ACCESSORIES IMP. & EXP. 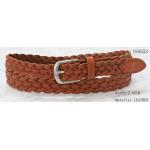 CO., LTD.
Tan Geniune Leather Braided Belt For Lady With Nickel Satine Buckle & Leather Tip 1. Quick Detail: Style No. 18A853 Width 2.85cm Belt Material Genuine Leather Buckle Material Zinc Alloy Belt Color Tan Buckle color Nickel Satine MOQ 500pcs Length range 90-... WENZHOU JARA ACCESSORIES IMP. & EXP. CO., LTD.